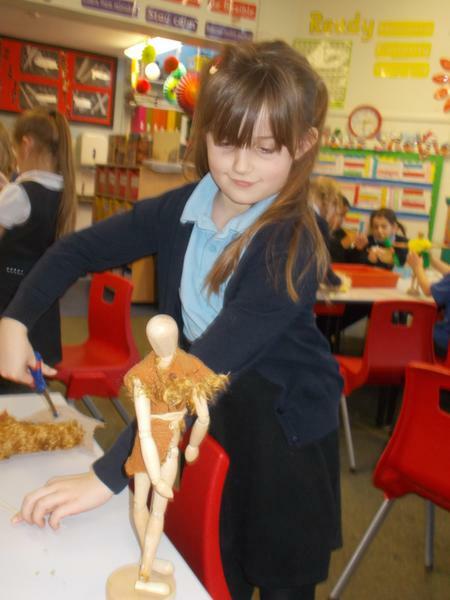 We discovered a wonderful Middle Stone Age invention, a beautiful bone needle. 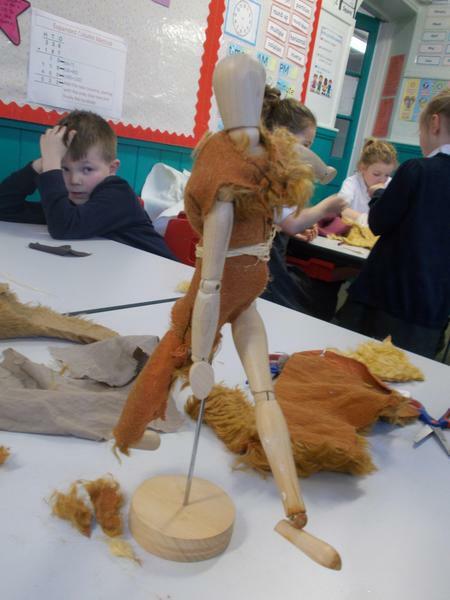 This made it much easier for us to create some warm, practical clothing out of the skins of the animals that we have ‘hunted’. 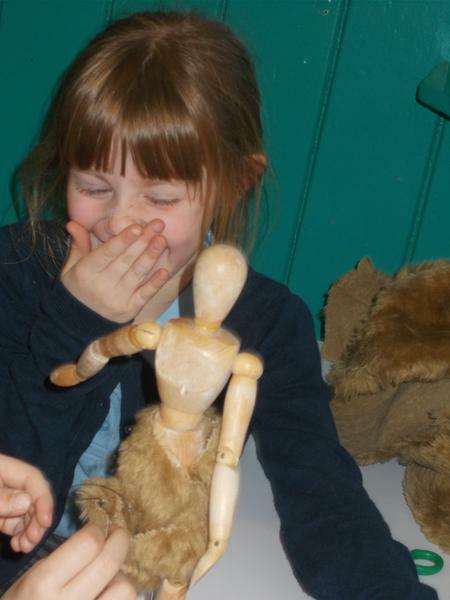 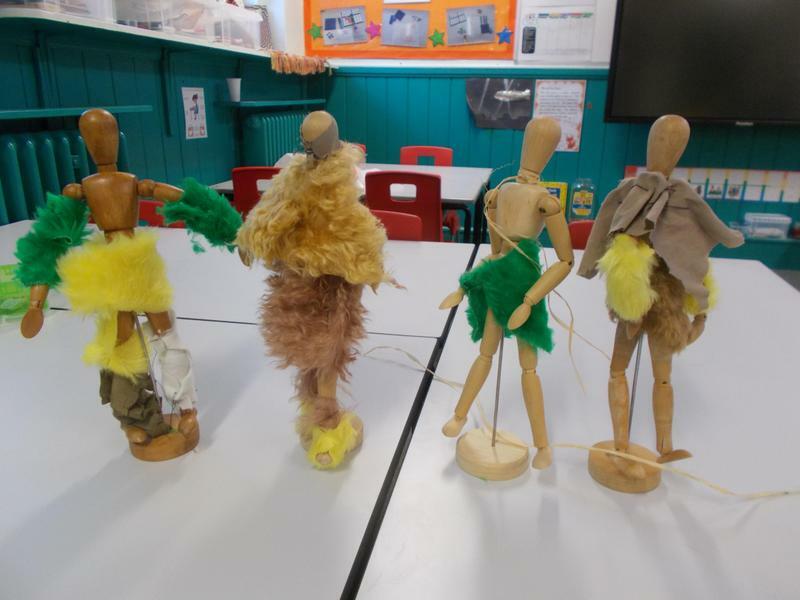 We discussed the idea that nothing would be wasted from each animal that Stone Age people captured and killed and how they would use every last part. 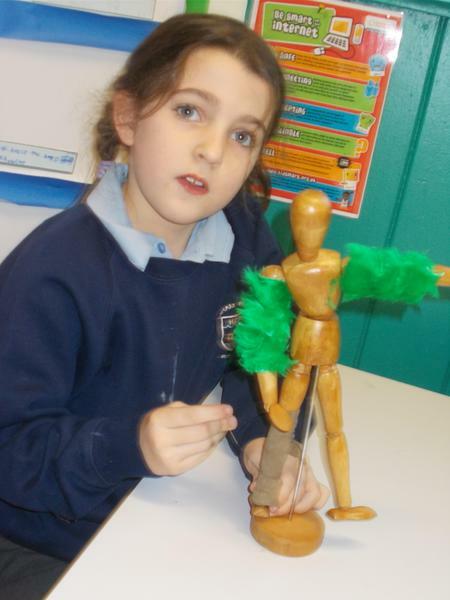 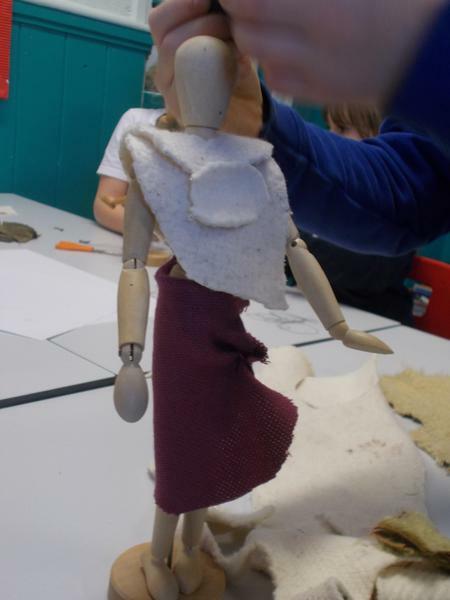 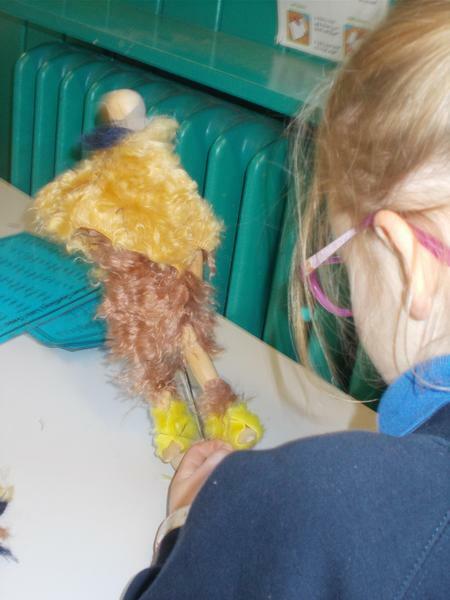 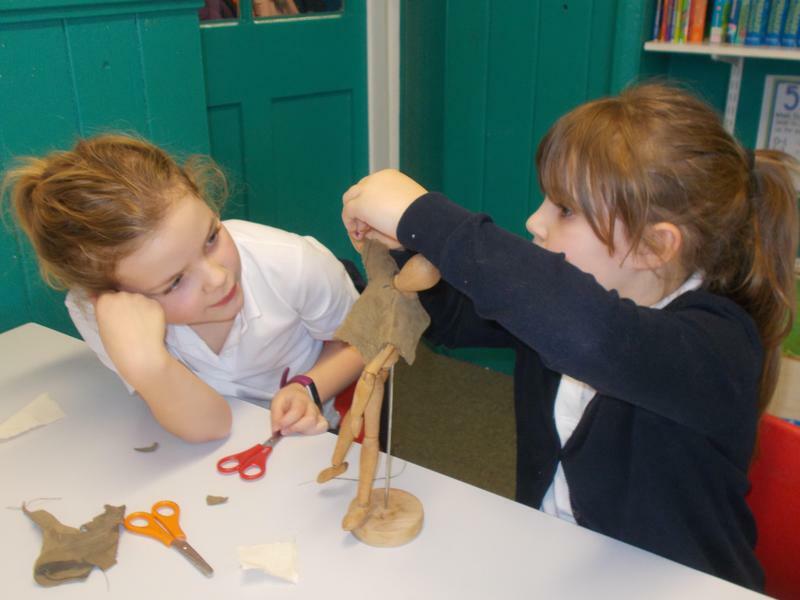 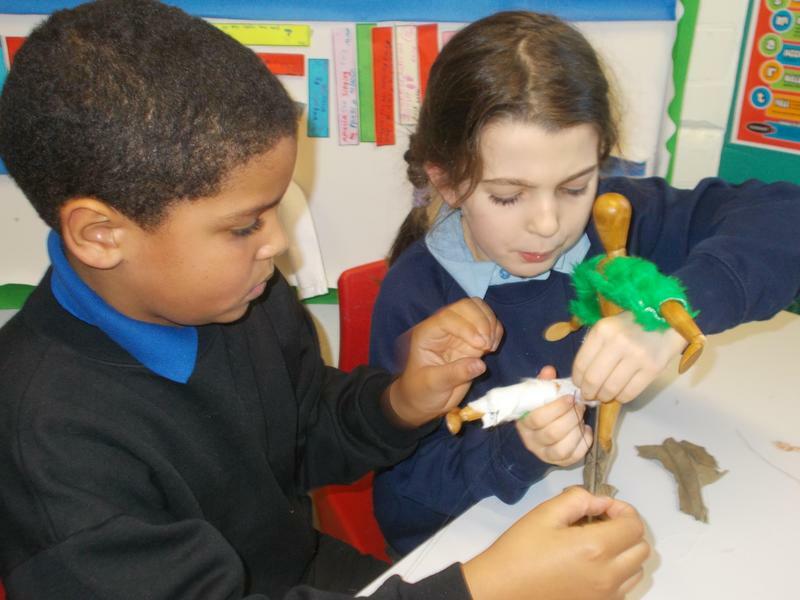 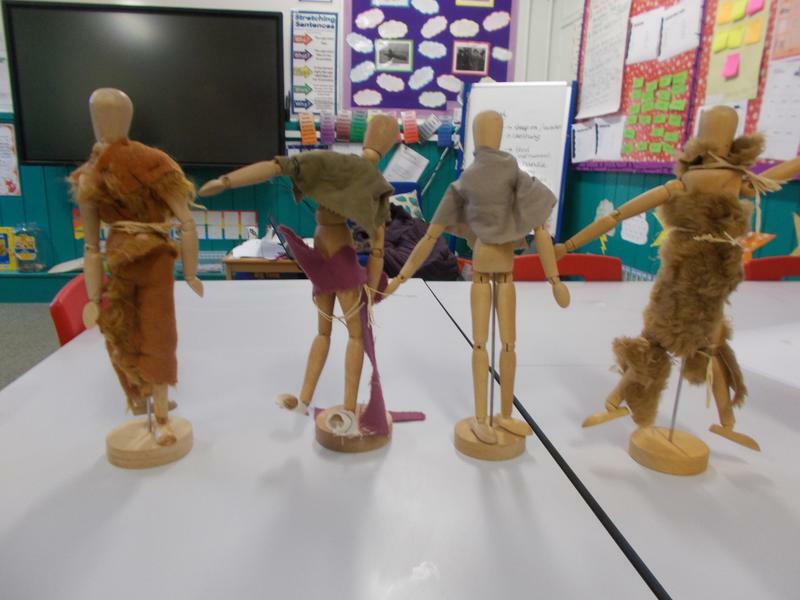 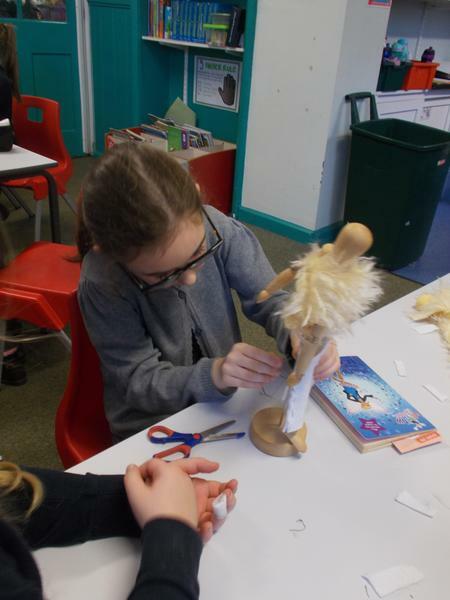 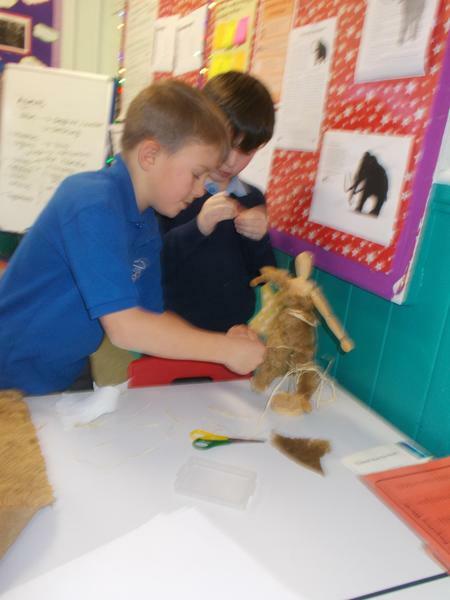 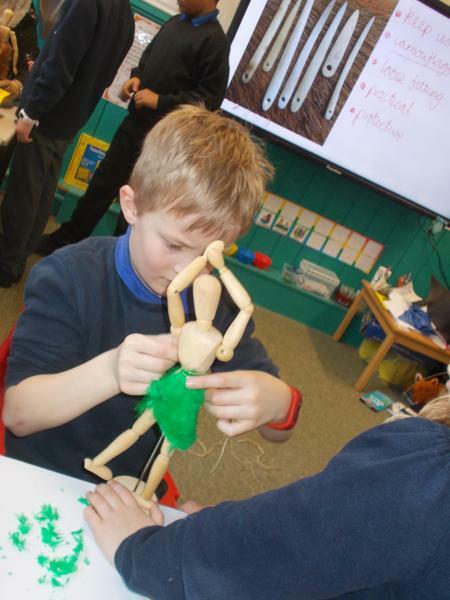 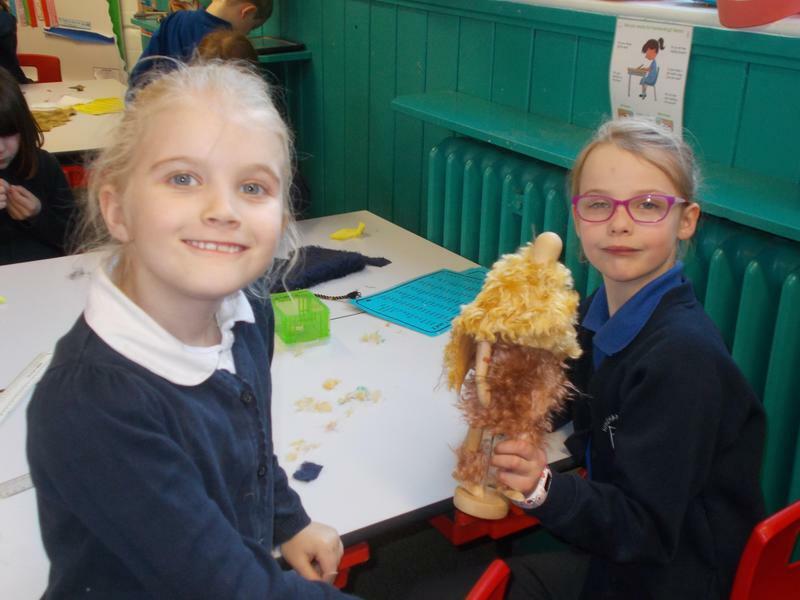 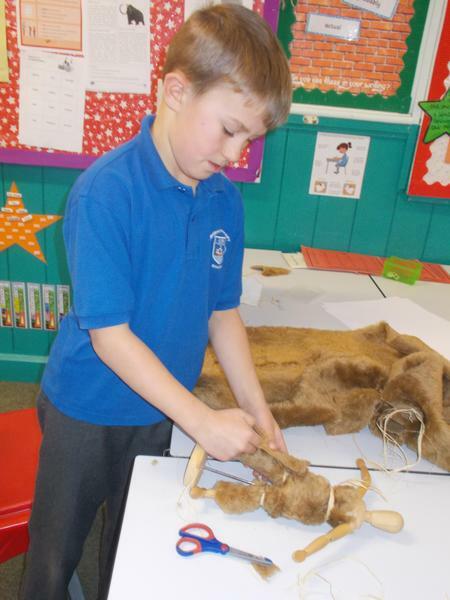 This included using the sinews and tendons to make thread to stitch up their clothing and bones and teeth to create jewelery. 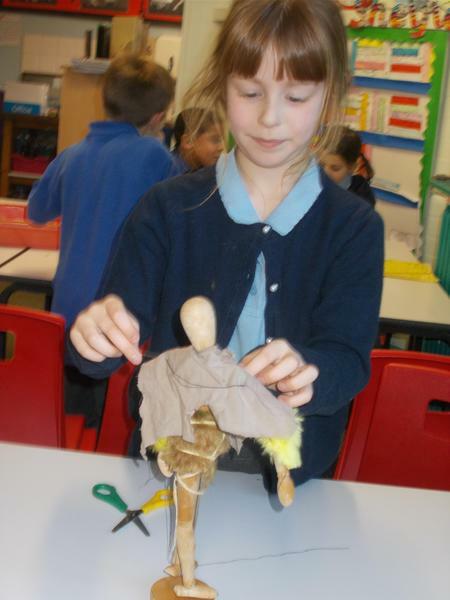 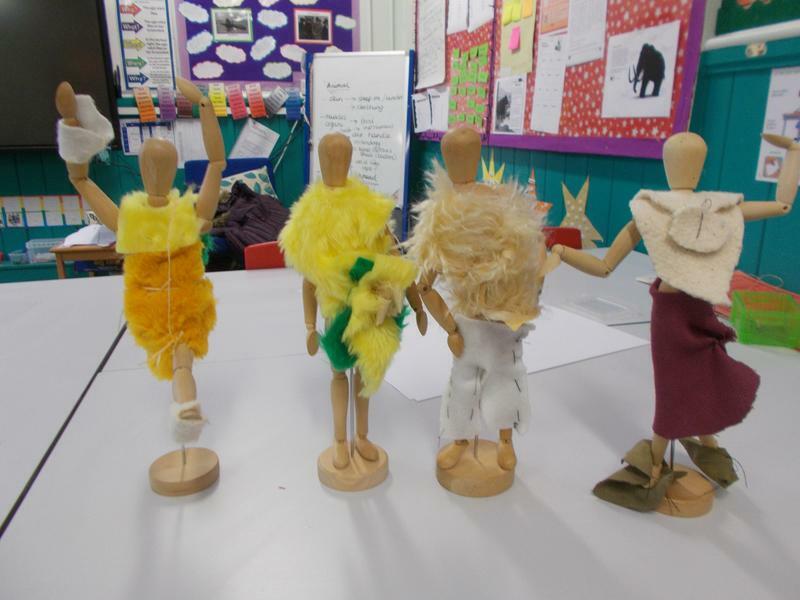 Look at some of the wonderful outfits we came up with using our problem solving and team-working skills.